Groundwaters of the Dinaric Karst form some of the world's largest karst aquifer systems. The Dinaric region contains huge amounts of high quality groundwater. It is one of the major contributors of freshwater entering the Adriatic Sea. The Dinaric Karst Aquifer System extends from NE Italy through Slovenia, Croatia, Bosnia & Herzegovina, Montenegro to Albania. Karst formations connected with the Dinaric carbonate chain outcrop also in Serbia, FYR Macedonia, and possibly in NW Greece. Karst is a special type of geologic environment that is formed when soluble rocks, such as limestone and dolomite, are corroded and dissolved by percolating water. Karst hydrogeology is characterized by high fracture controlled permeability, almost total absence of surface water, high infiltration rates and rapid underground flows of groundwater. For the most part, this region is still pristine characterised by a variety of geo-morphological environments. 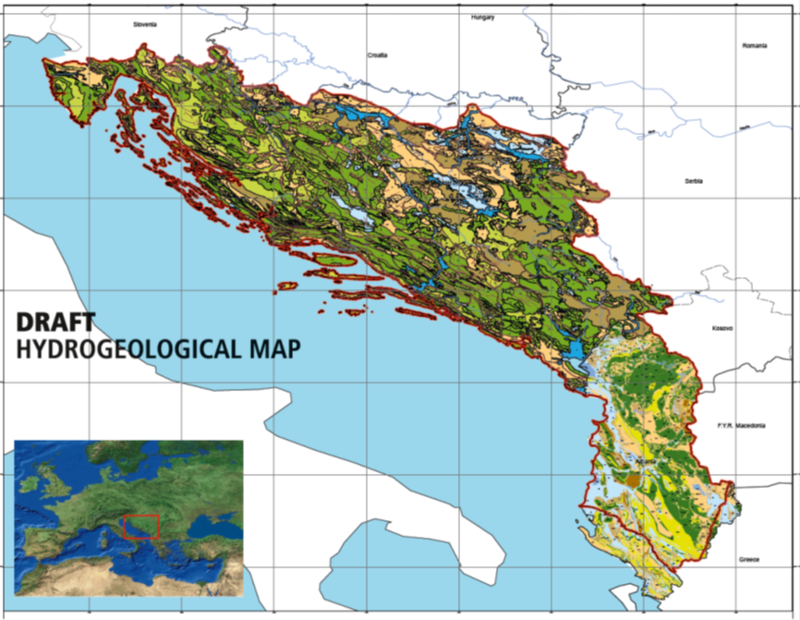 The dominant flow of the groundwaters contained in the Dinaric Karst is towards the Adriatic Sea, eventually through rivers (such as Neretva, Cetina and Trebisnjica) and through submarine springs that characterize the coastal areas of Eastern Adriatic. Further to the East, the Dinaric karst groundwaters drain mainly to the Sava River Basin. is the main source of drinking water in most of the countries of the area.